Double module floor plan with clear separation of public living areas and private bedroom spaces. 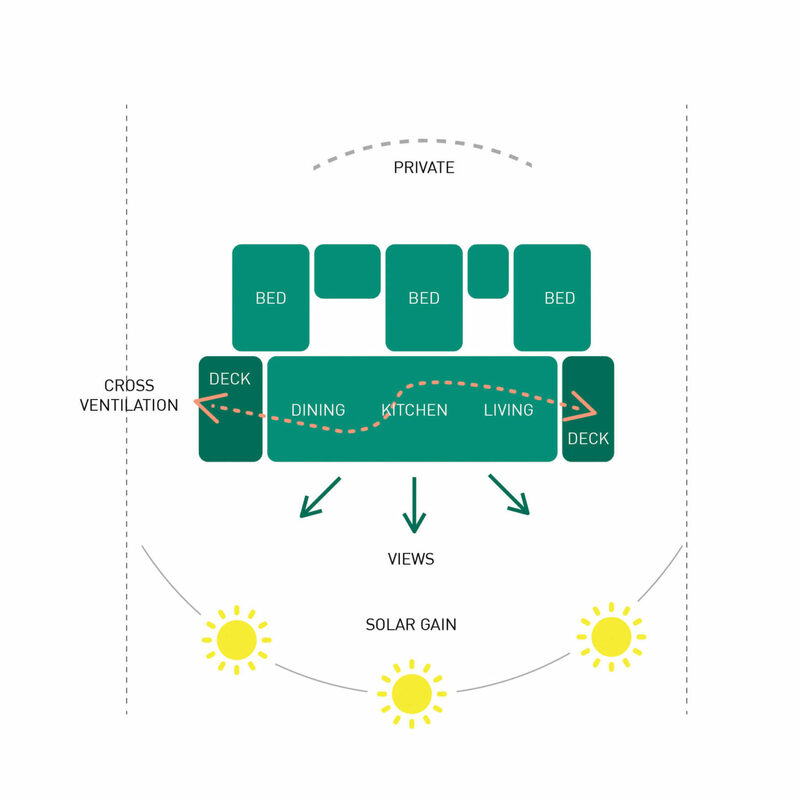 Living spaces benefit from a practical linear arrangement on one module to fully exploit good solar orientation. Bedroom spaces are located on second module to create distinct private zone.